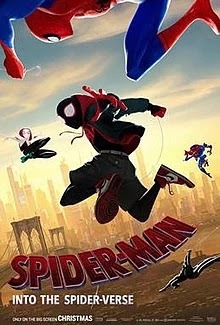 Cast & Crew Shameik Moore,Hailee Steinfeld,Mahershala Ali,Etc..
Spider-Man: Into the Spider-Verse is a 2018 American computer-animated superhero film based on the Marvel Comics character Miles Morales / Spider-Man, produced by Columbia Pictures and Sony Pictures Animation in association with Marvel, and distributed by Sony Pictures Releasing. It is set in a shared multiverse called the "Spider-Verse", which features different alternate universes. 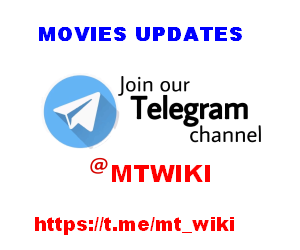 The film is directed by Bob Persichetti, Peter Ramsey, and Rodney Rothman, from a screenplay by Phil Lord and Rothman, and stars Shameik Moore as Morales, alongside Hailee Steinfeld, Mahershala Ali, Jake Johnson, Liev Schreiber, Brian Tyree Henry, Luna Lauren Velez, and Lily Tomlin. In the film, Morales becomes one of many Spider-Men.